Boston is the hub of the universe and that means there are plenty of things to do! Between theater tickets, concerts, dinners out, and fun with the kids, you could go broke in no time. Count on us for your weekly round up of the best free and cheap activities going on in Boston. 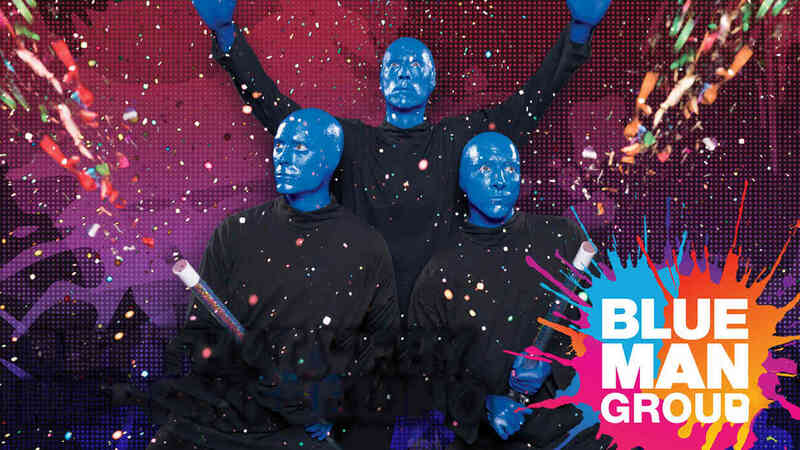 Free and cheap events in Boston this week include 50% off tickets to see the Blue Man Group, Complexions Contemporary Ballet,Rick Thomas at Cary Memorial Hall, Boston Symphony Orchestra, Robin Williams Tribute Show, James & the Giant Peach, Big Apple Circus at North Shore Mall, free workouts, free sailing, family poetry programs, jazz nights, and more. What: This worldwide hit musical act is coming to Boston and you don’t want to miss it. The Charles Playhouse is hosting and tickets are half-off. Regularly $72- $100, you can get them now for just $36.50- $55. Shows are going on through the end of April but some shows are already sold out! 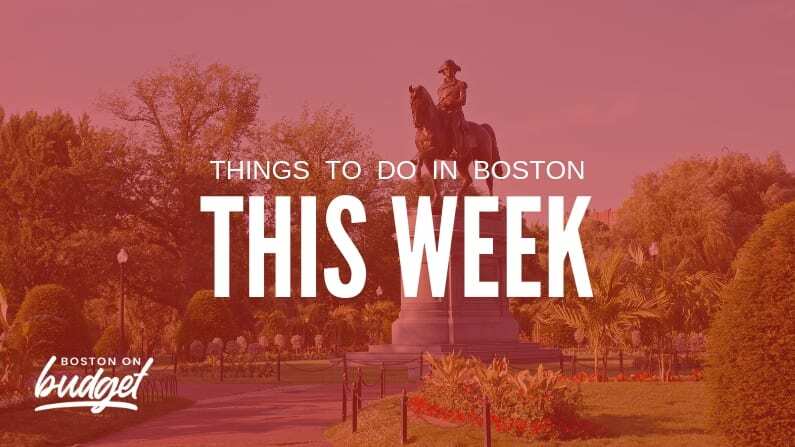 Here are a few cheap things to do in Boston any day of the week! Climb aboard a replica of the ship where the Boston Tea Party began! One of only two of the original tea chests still in existence is on site but you can toss a replica of it overboard. You’ll also witness live acting, an award-winning multi-sensory film, holographic exhibits, and more. Entrance to the museum and ship is regularly $29.95 but for a limited time, you can get in for $10 off- that’s just $19.95! AMC is now offering e-tickets at an awesome discount! You can purchase these discounted tickets in advance and use them at your convenience. The tickets are good for any participating theater and any date or showing! Movie tickets at AMC are regularly $13.50 but purchase them online now for just $9 each! The National Museum of American Illustration is one of the best museums in the country. They are currently hosting a special exhibit including kaleidoscopes with a visual history of America. You can also take a self-guided tour of the second-largest collection of Normal Rockwell paintings. Admission to the exhibit is regularly $20- $55 but you can get in now for $13- $35! Tickets are good for any Friday through May 17. What: Porto Boston is offering $1 oysters this Monday. Just steps from the Boston Marathon finish line, this patio is offering oysters, drink specials, champagne, and more. Entrance is free, just RSVP. What: This cafe and jazz club has jam sessions each Monday. There is no cover and no drink minimum. What: Midnight Runners is a group of Boston- area runners who love to run at night past some of Boston’s most popular landmarks. The 6-mile run is full of fun, music, and camaraderie meant for folks capable of running a 10K with stops in between for body-weight exercises. There is a meet- up afterwards for drinks at Scholars Bar. What: The JFK Presidential Library and Museum offers a free family program. See the masterful acting, mime, vocal gymnastics, humor, and more for free! RSVP to get in, no ticket needed. What: Darryl’s Corner Bar & Kitchen is hosting a free jazz night featuring talented local acts. Reservations are strongly encouraged. Entrance is just $3 with dinner. What: Their newest show, From Bach to Bowie, features the music of legends spanning classical to rock. The event at Providence Performing Arts Center is regularly $25- $49 but you can get in now for $20.50- $40.25. What: Whether you’re a student of Astronomy, or just want to see some stars, head down for free nights every Wednesday. Tickets sell out fast so you’ll need to get them starting the Thursday before at 11 am. The program starts at 7:30 pm during the Fall and 8:30 pm during the Spring and Summer. Always call ahead to make sure the program is being held. What: This free workout is great for folks looking for a high intensity outdoor workout. You’ll run up the big seats and come down the small stairs. No registration required, just show up for your glow up! What: Professional Illusionist Rick Thomas is putting on his amazing and unique show this week in Lexington. Enjoy his one of a kind stunts at a discount! Tickets start at $39 but we’re bringing them to you at half price. That’s just $19.50 each! What: The Mattapan branch of the Boston Public Library hosts a free weekly session of gentle yoga. Focus on stretching, breathing, and relaxation. The class is one hour long and open to everyone, from supervised kids to seniors. What: Can’t think of how to spend your Thursday night? Looking for a boozy date opener without the commitment? Head down to Mayhew Wine shop for an evening of free tastings. They’ll also have fun and free tips for how to maximize your wine- tasting enjoyment. What: This video arcade has free hours each Friday so you can get your game on. From 3- 5 pm every Friday, you can get your fix of Pacman and more. There’s no cover, just free play! What: Mineral Hills Winery is hosting a free wine meet up. All bottles are 10% off plus you can enjoy free tastings. What: Jamaica Pond at Downes Field is the location of a free weekly bootcamp hosted by Evolve. This HIIT class is free and open to the public. What: This weekend’s performance includes pieces from Bacewicz, Mozart, and Mendelssohn, all directed by Andrew Manze. Tickets are regularly $53 but you can get them now for just $37.10! Shows on Thursday are even cheaper- just $35! What: In the Spirit of Robin Williams is a tribute show featuring the amazing impressionist, Roger Kabler. Enjoy the feel-good comedy of Robin William and feel like it’s really him on stage. Tickets range from $29- $29 but you can score them now for just $16- $21! What: Courageous Sailing Center at Pier 4 is hosting a free day of sailboat rides. No reservations necessary and there is no fee. The voyages last 30 minutes and you should get there early because the rides are first come, first serve. What: This weekend, Saturday and Sunday, you can enjoy a live showing of this fan- favorite musical about a magical potion and a clever boy. The show is being put on by the Wheelock Family Theatre. Tickets are regularly $20 each but you can get them now for just $10! Shows are going on weekends in April but tickets will sell out soon! What: Head to the mall this weekend for a live performance of the One Ring Wonders. See their high flying and balancing acts on a discount. Tickets are $33- $88 but now you can check out the show for just $10- $55! What: Every Sunday, enjoy a free, live comedy show by local stand-up comics. The event is 21+ only with no cover charge, just pay for your drinks! You’ll be in stitches by the time you leave!